Are You Making This Major Medicaid Planning Mistake? 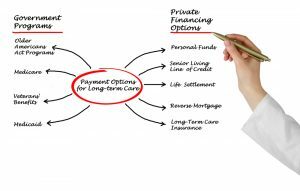 Medicaid is one of the most important governmental service programs that comes into effect when a person no longer has the assets required to pay for long term care such as nursing home and other related services. How you plan for Medicaid, however, is extremely important because you could be blocking yourself from recovering these benefits when you need them the most. One of the biggest mistakes people make when approaching Medicaid planning is purchasing exempt assets prior to the date of admission. One of the most common protections with Medicaid planning is the community spouse resource allowance, also referred to as the CSRA. You must know what your state considers as assets that are exempt from being spent down to qualify for Medicaid. A couple’s residence, their household goods, one car, medical equipment, jewelry, furnishings, and a few other items are exempted. Other assets such as their CODs, savings bonds, mutual funds, checking and savings accounts and others are considered nonexempt, meaning they could be subject to the spend down requirements. A Medicaid applicant spouse is eligible to keep one-half as an official CSRA up to a particular maximum. Planning ahead in advance with the help of an experienced Medicaid planning lawyer and elder law attorney can assist you with determining how CSRA is calculated and the things that you can do in order to stay in compliance with the law and get the necessary Medicaid benefits should you or your spouse need long term care services immediately. You may be subject to penalties and a delay of your Medicaid benefits if you do not follow these rules to the letter.